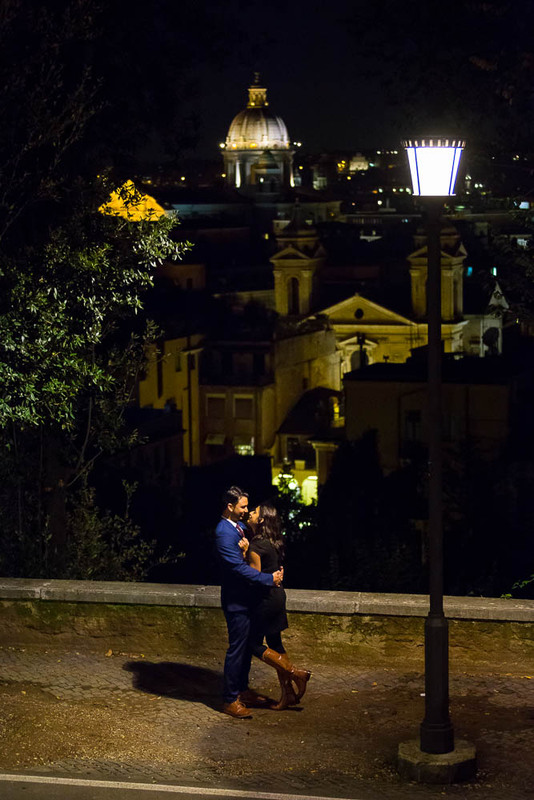 This was a truly wonderful surprise wedding proposal photographed at the Pincio park. 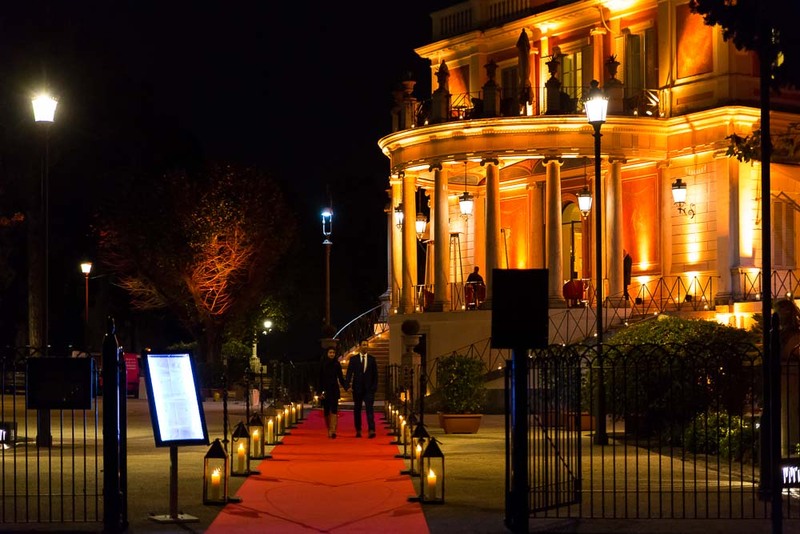 Casina Valadier was all lit up in stunning red. A truly unique once in a lifetime event as this is not the usually nighttime color of the restaurant. 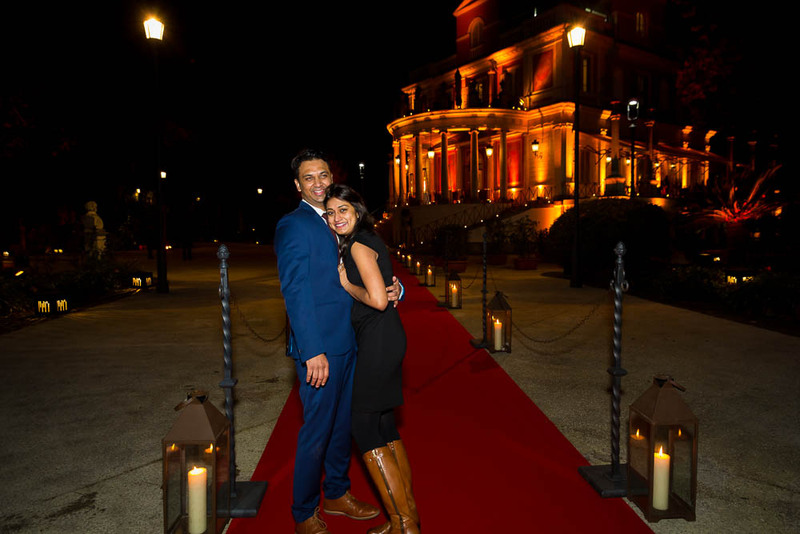 After our little rendez-vous we headed for the terrace view over the city for the proposal. The location was deserted and a little dark with the exception of the light coming from the two light poles that are positioned on either side of the terrace. 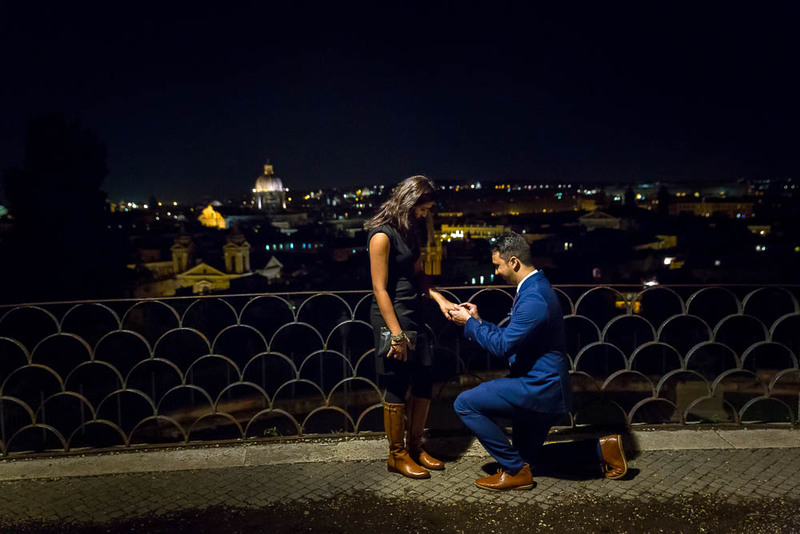 Providing enough light to capture this spectacular proposal. 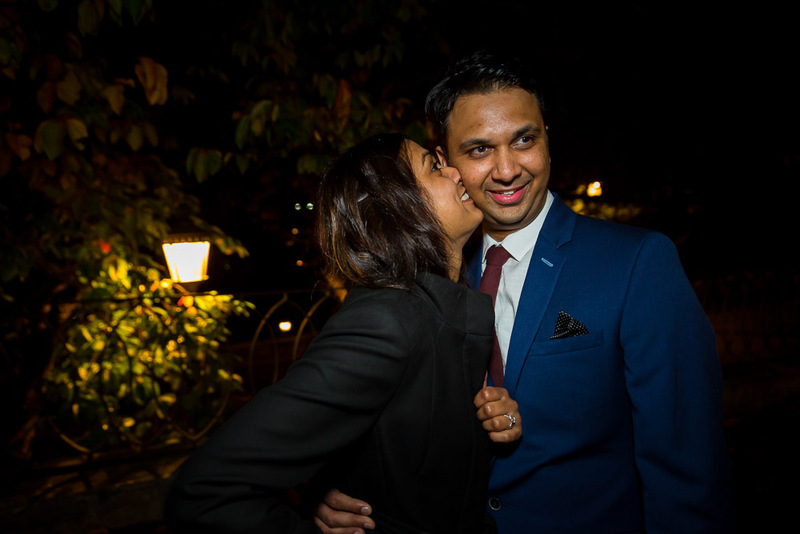 After much joy and happiness, the engagement photos followed in around the environs. Looking really for light sources to take pictures. We found different illuminated spots where were able to take some nice snapshots with the skyline in the background. 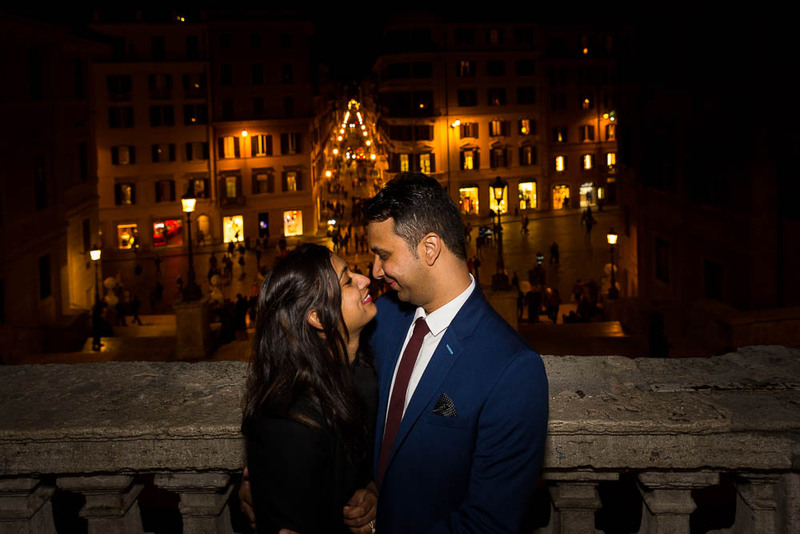 Then we headed for Piazza di Spagna to continue our photo shoot. 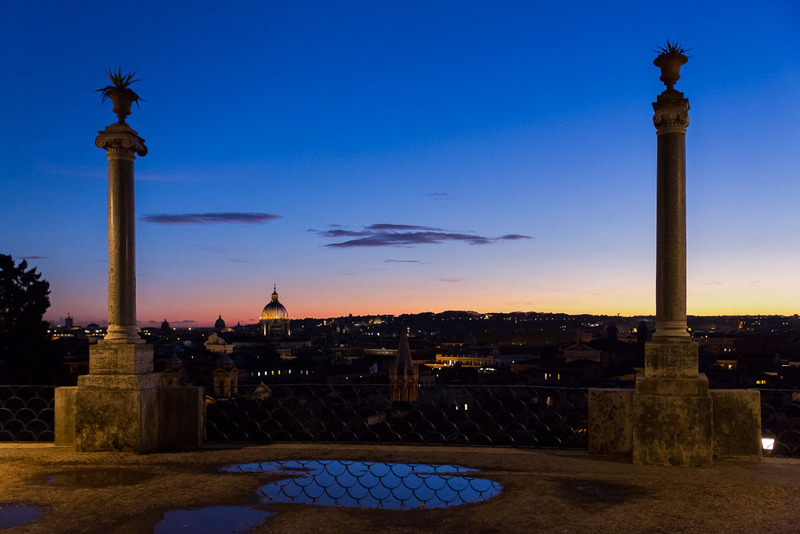 Capturing some pictures of the ring in different settings as well as the beautiful view over Via Condotti. 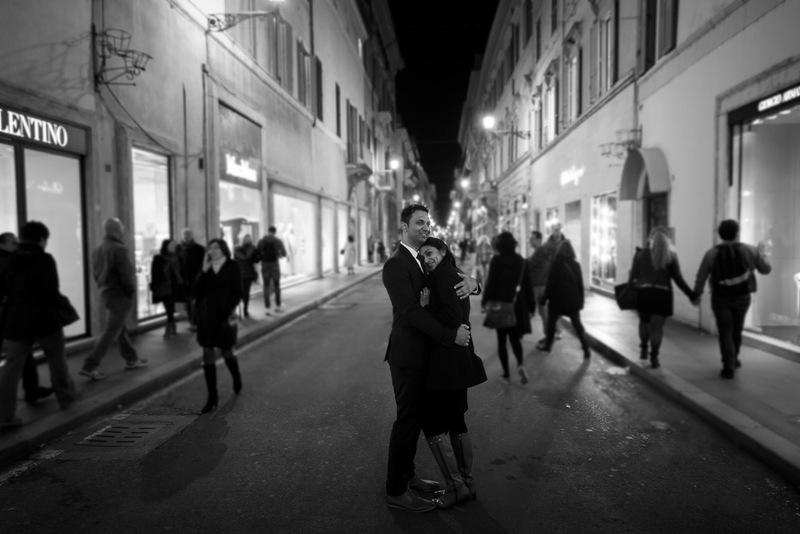 The photo shoot ended with some final romantic images snapped down in Via Condotti among walking bystanders. Check out the Portfolio Gallery to view a selection of best images from Andrea Matone.